We are a highly accliamed name in Esporting and supplying best in class Regulator and Automotive Rectifiers. 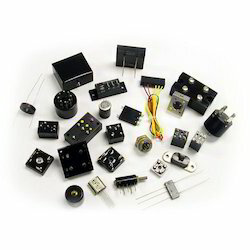 We are a proud suppliers of Rectifier Assemblies in the entire market of Indian Subcontinent. These products are widely used for various applications in several industries. Our range is manufactured using superior quality raw material and sophisticated technology under the set parameters of international standards & norms. A rectifier is a device for converting an alternating current ` in to unidirectional current.C. This test bench is used to functionally check the operation and various electrical parameters of the regulator and rectifier used for two wheelers before sending it for final assembly. High quality long lasting rectifier for automobile engines. We provider our customers, perfectly engineered 3 Wheel Rectifiers available in various capacities and DC voltage output. These rectifiers provide effective and qualitative services and are highly energy efficient. Rutton Shah International Rectifier Ltd.
We are engaged in offering our clients superior quality Regulator & Rectifier Parts, which perform rectifier operation in automobiles smoothly. To meet the automobile industry standards, these parts are provided in various specifications. Manufactured using premium quality raw material, these parts are acclaimed for their several features like sturdy construction and durability.